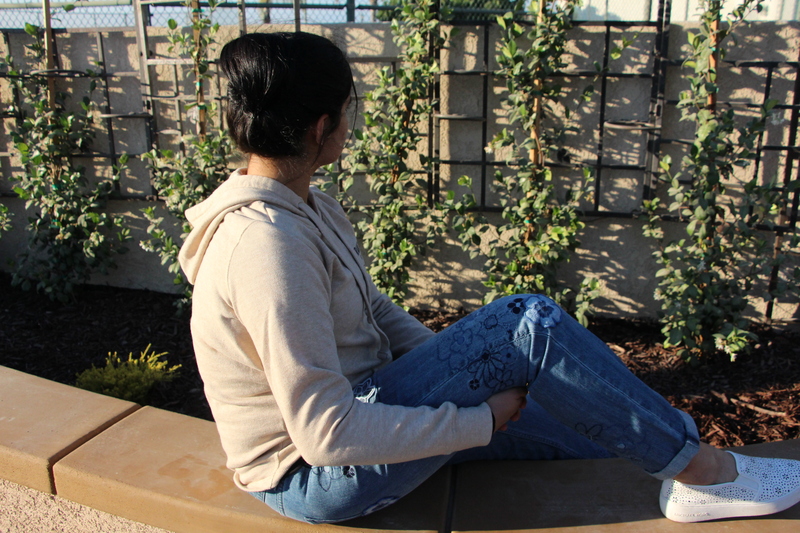 Autumn is here in the States, and I’m so happy because Autumn is my favorite season! 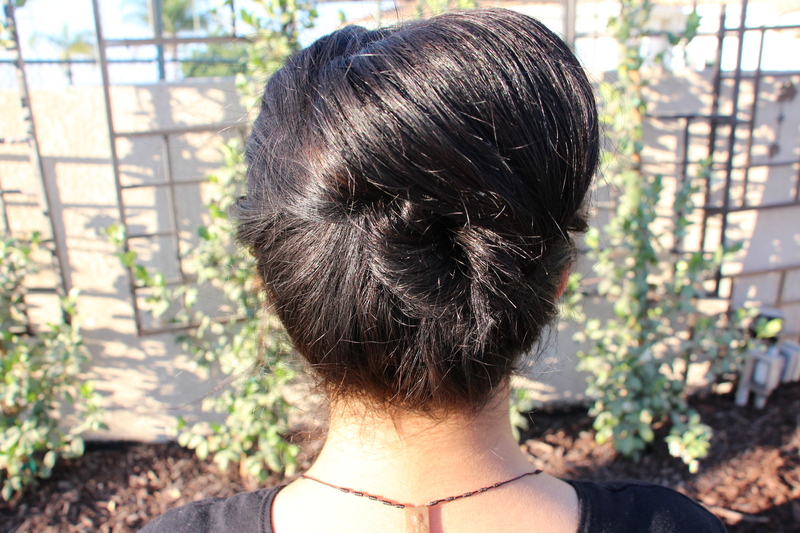 For the third post of my college hairstyle series, I’m going to be showing you all how to do a fun updo I call the Seashell Bun. After I made it up, it reminded me of seashell. Honestly, it looks harder than it is. 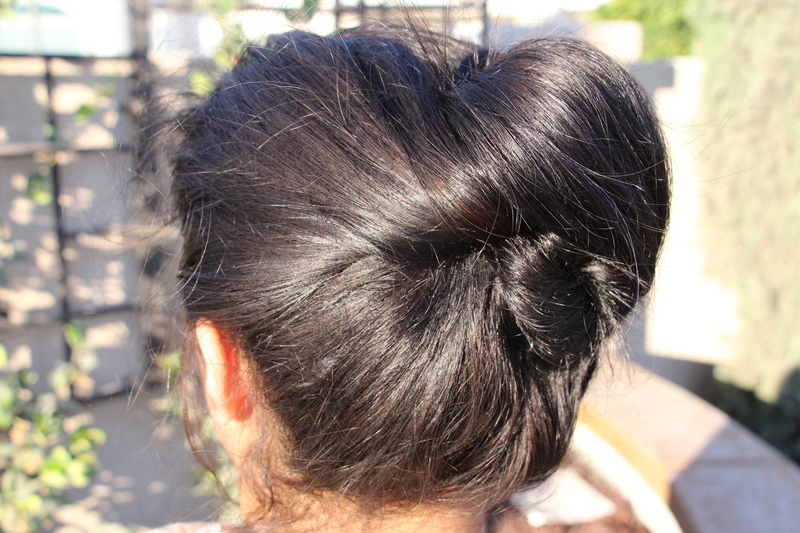 With a tiny bit of practice, this hairstyle will become another fast hairstyle to do on days when you want your hair up. 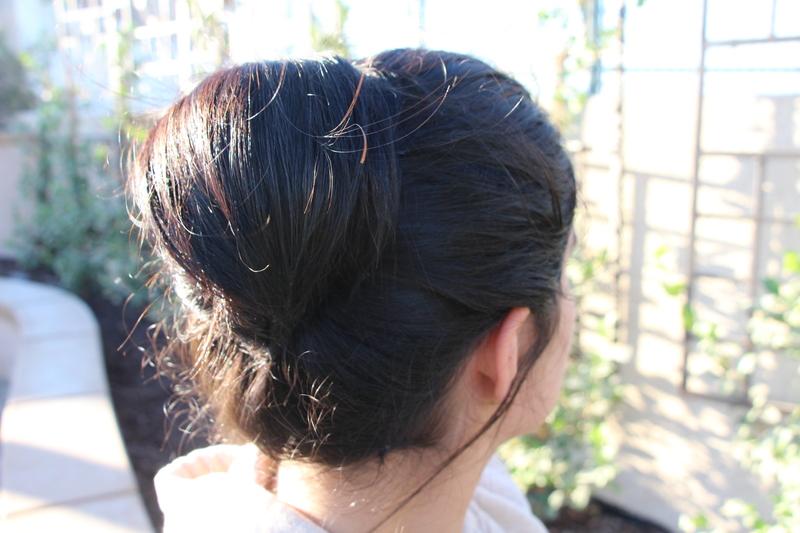 Plus, it’s great for formal occasions, too! 1.) 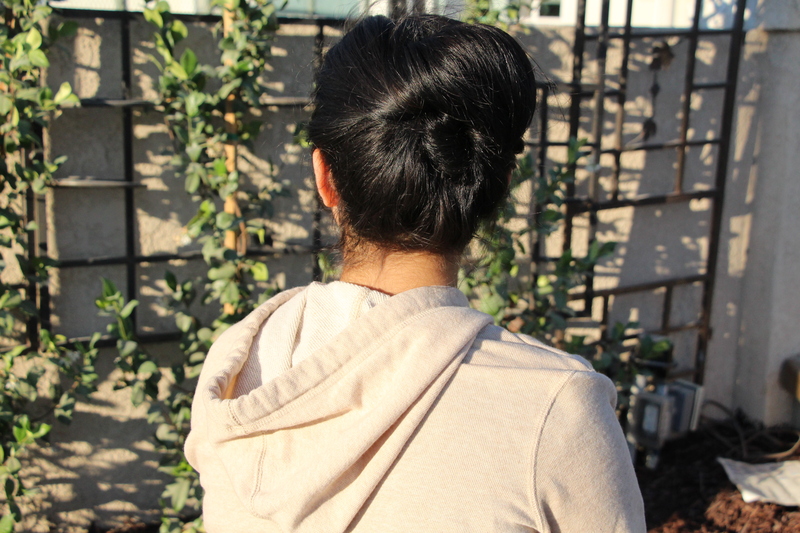 Begin by tying your hair up into a high ponytail. 2.) 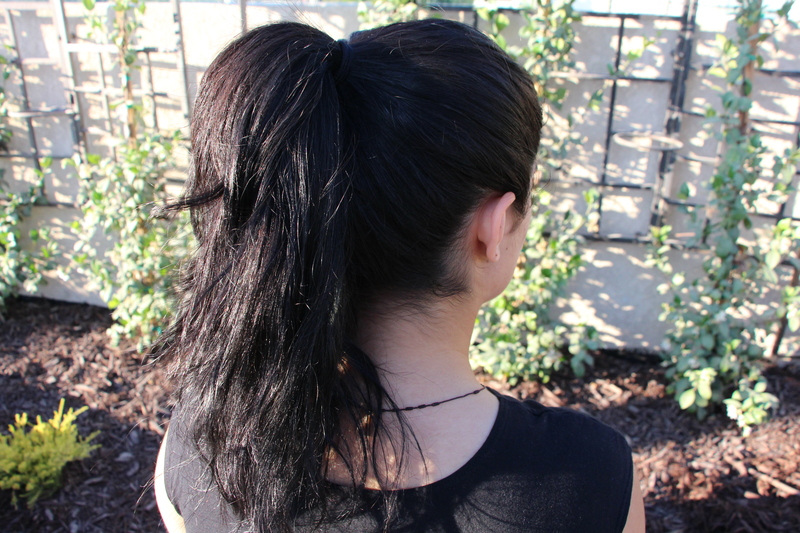 With your ponytail secured, pull hairband 1-2 inches away from the crown of your head. 5.) 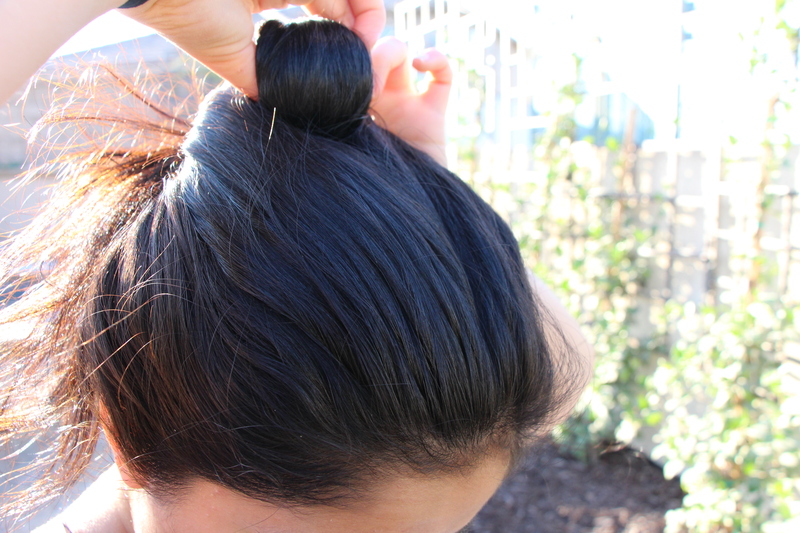 Split ponytail into two sections, and tug gently, to tighten the band closer to your crown. 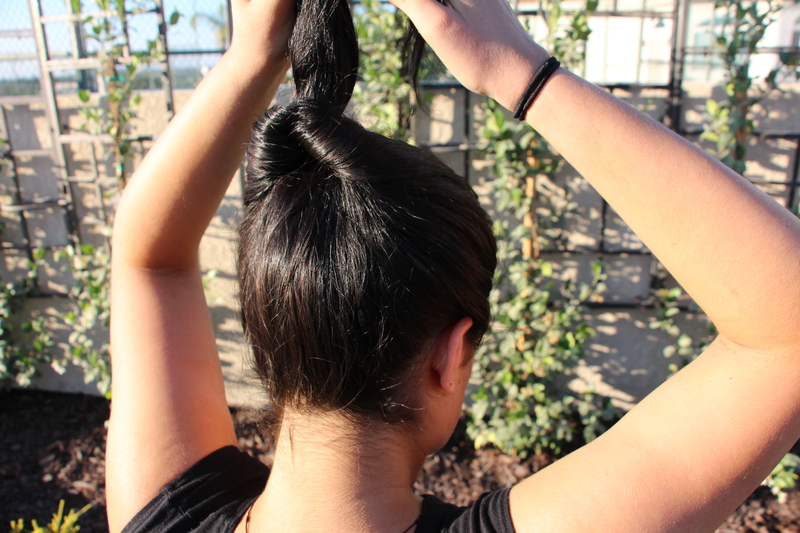 This twist you’ve created will act kind of as a type of tripod, and support the seashell shape. 6.) 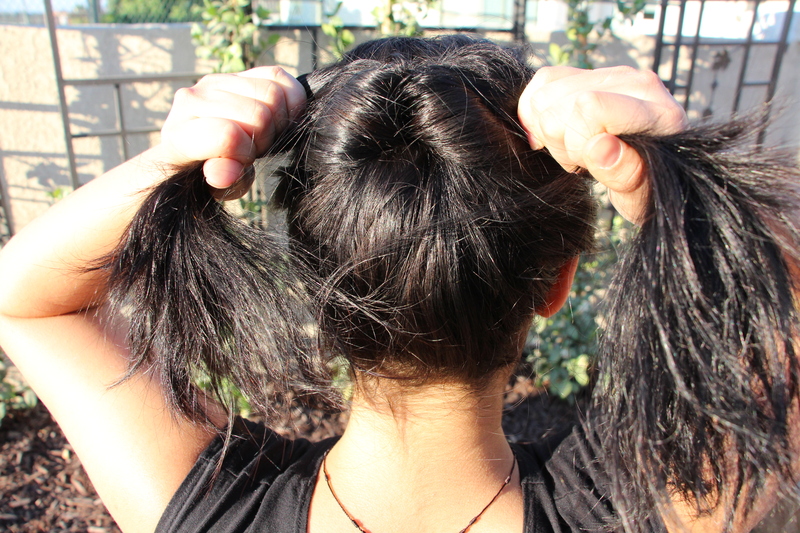 Let your ponytail rest over the twist. 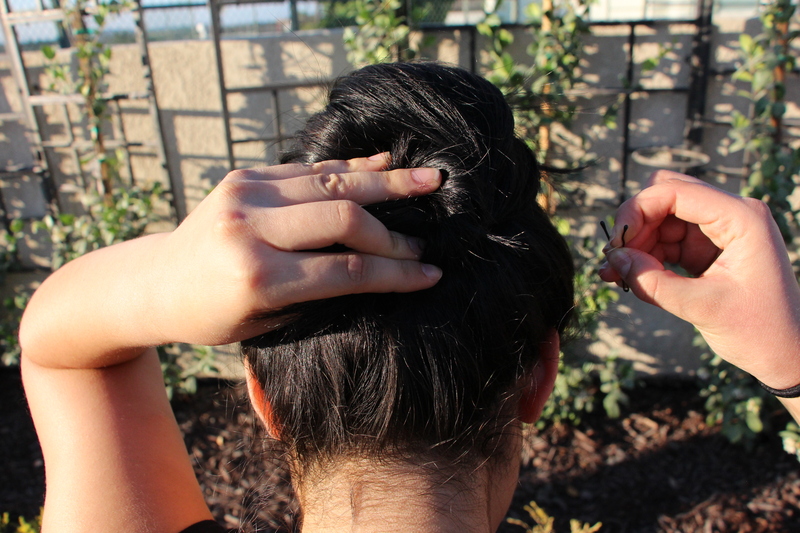 From that position, begin coiling the ends of the ponytail into a little bun. 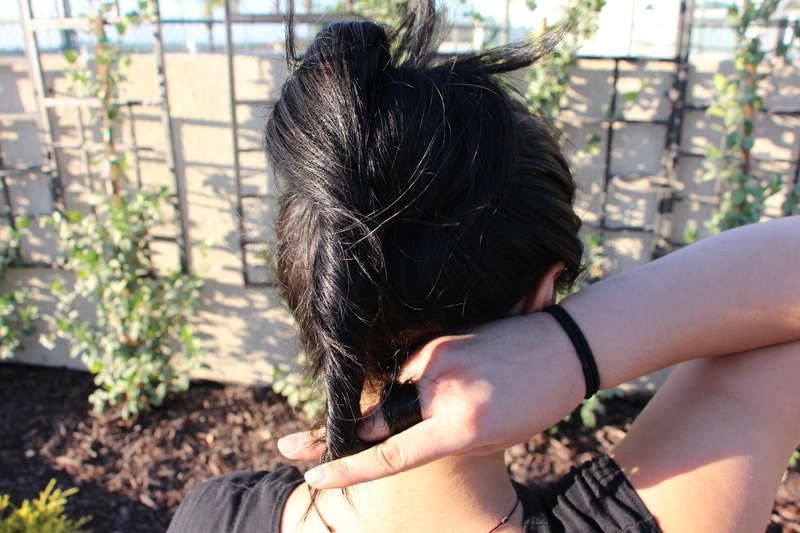 Secure the bun underneath the “roll” the ponytail has made. 7.) 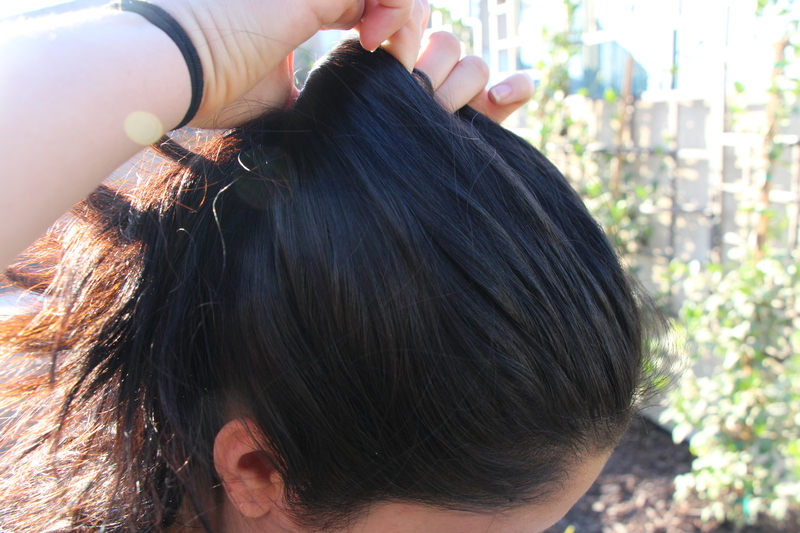 Bobby pin any layers. …and there you have it! 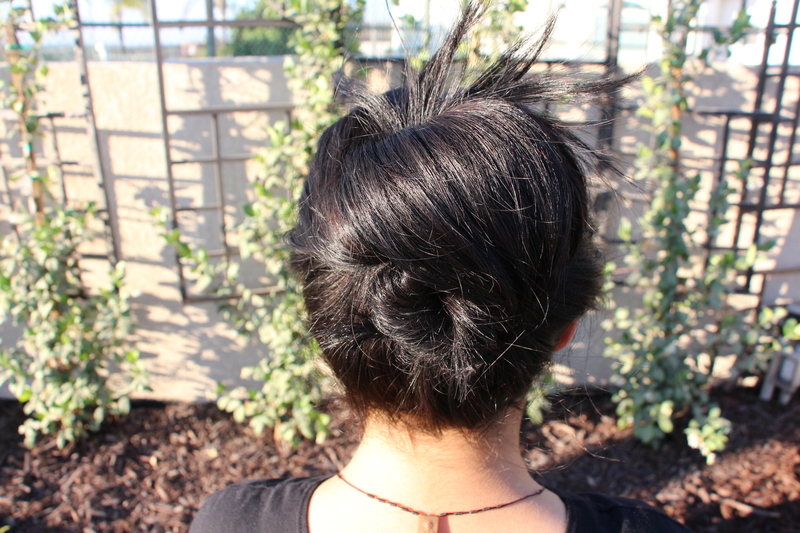 All the steps to do the seashell bun! It might take a little bit of practice, but once you’ve got the hang of it, it’ll be very quick and easy. This is beautiful and so trendy! 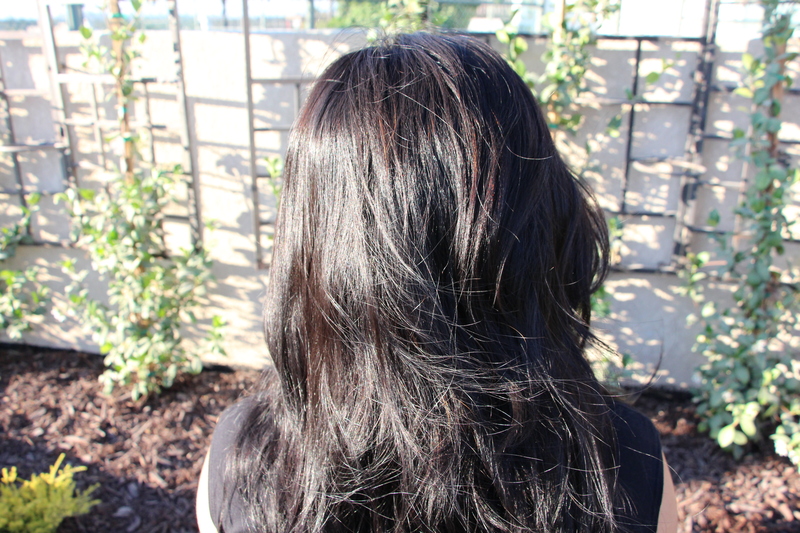 I can’t wait to try this beautiful hairstyle out! 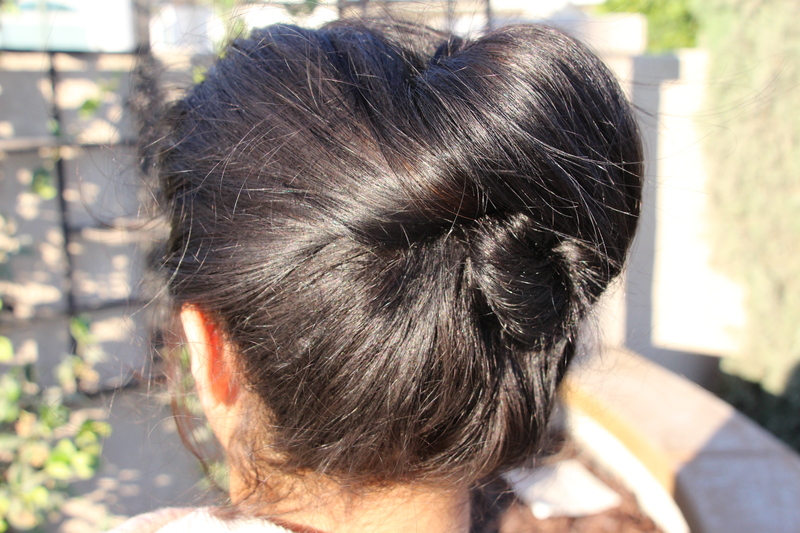 Definitely keeping this hairstyle in mind! I love it! 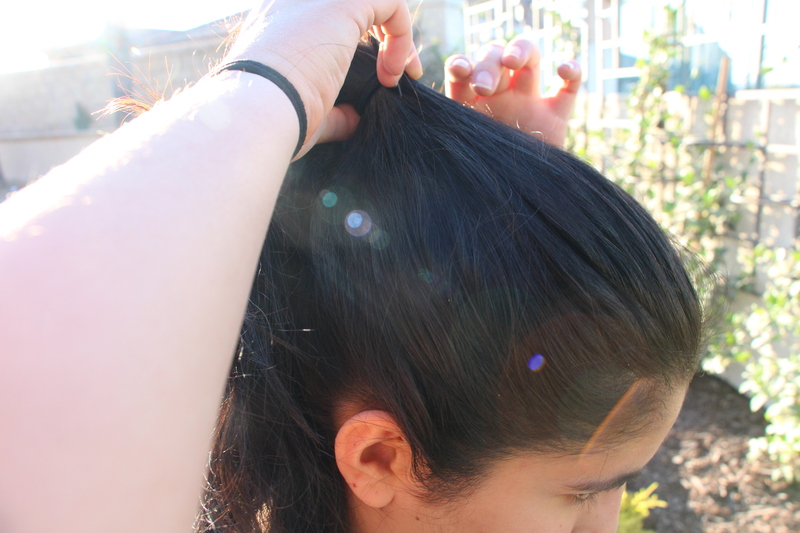 I just have to see if I can find more bobby pins. 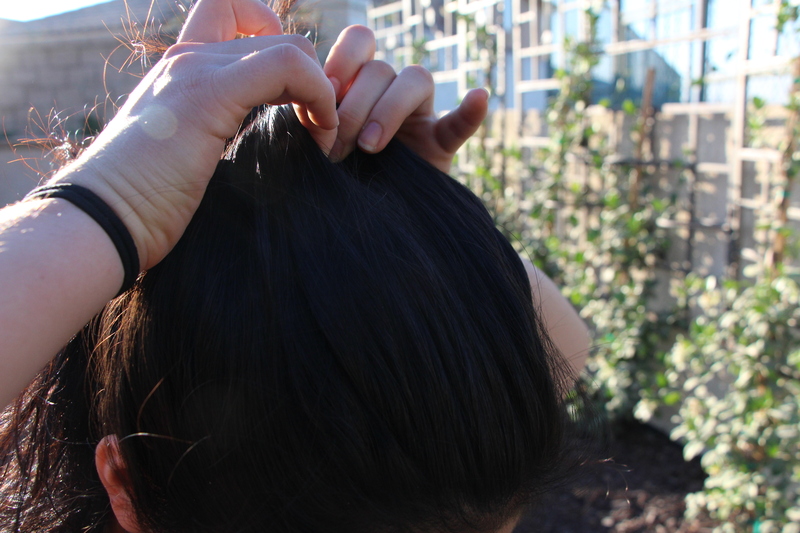 Haha, I’m always losing my bobby pins! I’m glad you love the hairstyle. Thanks Clare! 🙂 I love how unique it is too.